The Semiotics of Performance, Marco De Marinis, Indiana U Press, 1993 Semiotics ask you to see everything as a text; PERFORMANCE TEXT is our textual analysis here. See dramatic text as a language and performance as a metalanguage. The way your character walks or talks is done by you placing the sign. No characterization = no signs. I can't understand you. No physicalization = I can't see your signs. I don't see = no meaning. You need to establish the age of your character, because with this sign, many things will be not understood. Where do you think that "believability" comes from? The monologue of an old man without seeing the physical signs of age? Of course, I won't believe you! How out of two texts (words and motions) we give birth to the new meaning. One Act Fest Aston, Elaine and Savano, George Theatre As Sign-System. New York: Routledge, 1991. In Method Acting we know the "Subtext" Principle, in BM Meyerhold takes it one step further and speaks of the "CounterText"! The physical action that is opposite to the words (commonly known as "playing against the text"). Since marxist Meyerhold used the dilectics (Hegel), I will do the same. Thesis -- Antithesis -- Synthesis. One conflicting with another and by negating each other both become of the higher entity, having quatilities of the past and the new quality... Something like this. Sometimes we call it -- "to play against the text"... the extreme subtext? Which is the main "text"? Both! Why do you talk about the CounterText on the Semiotics page? Well, because that Third (Synthesis) stage of meaning is born out two different linguistic medium and can't be created without the symbols operating in them. How much semiotics should actor know? How about the basic trio: sign, signified, signifier? You play "Hamlet": (1) you = signifier, (2) Hamlet = sign, (3) your concept, idea, interpretation = signified. Your Hamlet is different from mine, not only because we understand it differently, but because we use different signs to express it differently. What does this chair in your scene represent? It could be a sign of power, defeat, death.... depending on how you make me read it! The actual chair is only a signifier (material). That's why director and designers try to turn everything into signs. You, actor, is a part of this artistic task. Depending on your REACTION to this "chair" you can create different signs (meaning). You turn the object into your property, you do the subjectivization of the neutral reality. You direct my mind and heart! At the time when Meyerhold spoke about StageMetrics, the semiotics were known in its early stage of Formalism and Structuralism. It is then was understood that any dramatic text is an "a priori metatext" (stage directions in plays as virtual staging). If so, there are possibility and execution of this "stage-text" and that is where the actor speaks, transforming potentuality into actuality. 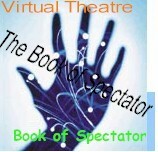 The idea is to teach actor to READ this virtual mise-en-scene within the dramatic text. After you see the physical action within the written dramatic text, you to know how to do the transcoding of the "script" -- how to WRITE stage sentences! Jansen provides a model of the structuration of the "dramatic aspect," proposing two categories of dramatic elements: (1) the lines (replique) and (2) the stage direction (regie). The second category can be divided into two subcategories: (3) character and (4) setting (decor). Bad acting is simply a falior of retextualization, when actor is unable to turn written text into dramatic discurse. Usually in class I point at a single word "exists" -- this is a stage direction, which is pregnant with the scene and your character. How does he exit? If you understand intertextuality (context), you know that the "exit" will depend on many elements which are not written. A set, for example. A door, the shape and the color will change the meaning of this "exit" -- and actor has to "play" (react) to the concrete artistic environment. Only within the context of your physical actions I can understand your lines (Stanislavsky' School speaks about "subtext"). In 3-Step Cycle exercises I advise students to see this "exit" as an ACT (independent statement). He goes to the door, stops, looks back -- and leaves. Or -- he goes to the door, stops, doesn't look back -- and leaves. Two different statements. The variations are unlimited: stops, turns back, lifts his hand; double turn back; the position of the head; how slow or fast... A good director can help, but can't do for you, it's not a pupet show. What do you want to express in YOUR character's exit? (Sometimes I even ask students to give names to those mini-acts). Learn how to see the symbols in the set and your props. Learn how to project it, your vision of them! And your tasks (objectives) and obsticles THROUH them! PreActing is based of the same dialectical trio (Thesis-Antithesis-Synthesis). What do we do? Instead of "words + motion = meaning" we have "motion + words = meaning"! The same? No. Different. PreActing is for Actors! 1. Get one of the monologues in this book and try to find the places, when the idea of countertext could work. 2. What is the difference between image and symbol? Use the texts. 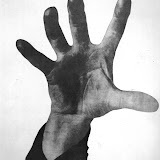 Read Film Semiotics and THR Semio in Theory directory!